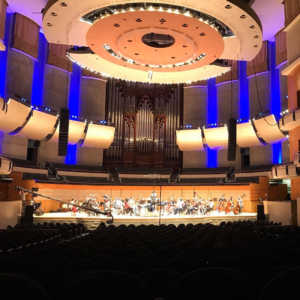 I was recently at the Banff Centre for Arts and Creativity in Canada to supervise the film score mix of a three-part documentary series (by filmmaker Niobe Thompson and music by composer Darren Fung). We needed to mix over 100 minutes of music – nearly 200 tracks of audio – in about a week. Luckily, we had a large crew available (over ten people and three mix rooms), so we decided to work in an unusual fashion: mixing all three episodes at the same time. Normally you have one mixer doing the whole score working in the same mix room. Even if he/she mixes on different days (or has assistants doing some of the work), chances are the sound will be pretty similar. It’s a challenge when you have ten mixers with different tastes and ears working in different rooms with different monitors, consoles, control surfaces, etc. What we decided to do was work together for part of the mix to get our general sound then let each group finish independently. The tracks included orchestra, choir, organ, Taiko drums, percussion, miscellaneous overdubbed instruments and electronic/synth elements. It was recorded/overdubbed the week prior at the Winspear Centre in Edmonton, Alberta. The Pro Tools session came to us mostly edited, so the best performances were already selected, and wrong notes/unwanted noises were edited out (as much as possible). Our first task was to take the edited session and prepare it to be a film score mix session. When mixing a film score, the final music mix is delivered to a mix stage with tracks summed into groups (called “stems”). For this project, we had stems for orchestra, choir, organ, taiko, percussion, and a couple others. Each stem needs it’s own auxes/routing, reverb (isolated from other stems), and record tracks (to sum each of the stems to a new file). I talk about working with stems more in this blog: Why We Don’t Use Buss Compression. Once the routing and tech were set, we worked on the basic mix. We balanced each of mics (tackling a group at a time – orchestra, choir, organ, etc. ), set pans, reverbs, sends to subwoofer (since its a 5.1 mix for film). In film score mixing, it’s important to keep the center channel as clear as possible. Some tv networks don’t want the center channel used for music at all (if you’re not sure, ask the re-recording mixer who’s doing the final mix). From there, our strategy was to polish a couple cues that could be used as a reference for mixing the rest. 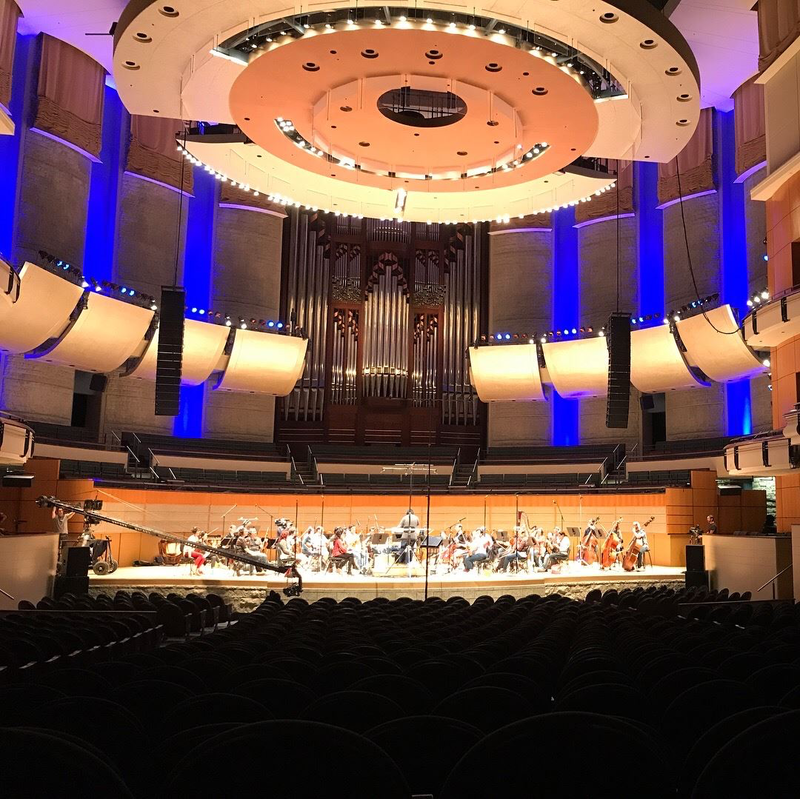 Once our composer gave notes and approved those cues, we made multiple copies of the session file – one for each team to focus on their assigned portion of the music. Every project has its unique challenges even if it’s recorded really well. When you’re on a tight time schedule, it helps to identify early on what will take extra time or what problems need to be solved. Some parts needed more editing to tighten up against the orchestra (which is very normal when you have overdubs). When the brass played, it bled into most of the orchestra mics (a very common occurrence with orchestral recording). There’s usually some spot mics that are problematic – either placed too close or far, pick up unwanted instrument noise or too much bleed from neighboring instruments. Most of the time you can work around it (masking it with other mics), but it may take more time to mix if you need to feature that mic at some point. What really makes a film score mix effective is bringing out important musical lines. So, the bulk of the mix work is focused on balance. I think of it like giving an instrument a chance to be the soloist then go back to blending with the ensemble when the solo line is done. Sometimes it’s as easy as bringing a spot mic up a few dB (like a solo part within the orchestra). Sometimes it takes panning the instrument closer to center or adding a bit of reverb (to make it feel like a soloist in front of the orchestra). Mix choices are more exaggerated in a film score mix because ultimately the score isn’t going to be played alone. There’s dialog sound fx, Foley, and voice-over all competing in the final mix. On top of everything else, it has to work with the picture. Film score mixing is sort of like mixing an instrumental of a song. The dialog is the equivalent to a lead vocal. I encourage listening in context because what sounds balanced when listening to the score alone may be different than when you listen to your mix down 10 dB and with dialog. Some instruments are going to stick out too much or conflict with dialog. Other instruments disappear underneath sound fx. Sometimes the re-recording mixer can send you a temp mix to work with, but often all you have is a guide track with rough mics or temp voice-over. Even with that, you can get a general idea how your mix is going to sound and can adjust accordingly. 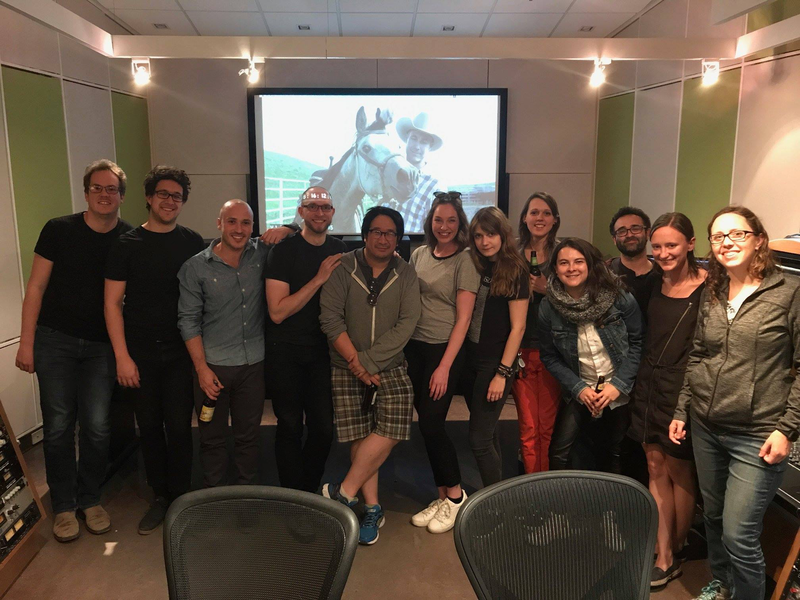 Equus: Story of the Horse will debut in Canada in September 2018 on CBC TV “The Nature of Things.” In the US, Equus will air on PBS “Nature” and “Nova” in February 2019. It will also air worldwide in early 2019. 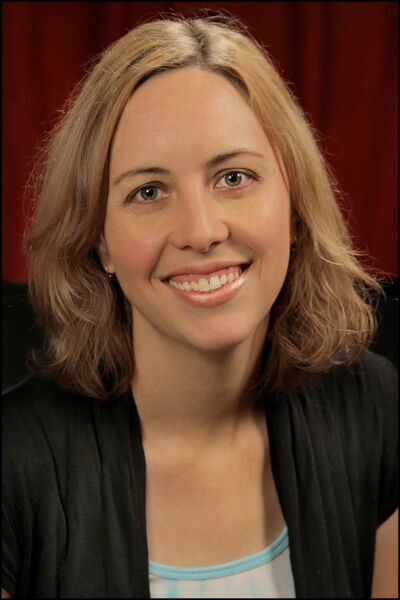 April Tucker: April is a Los Angeles-based re-recording mixer and sound editor who works in television, film and new media. 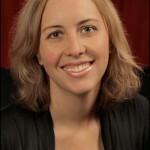 She holds both a Master’s Degree and a Bachelor’s Degree in Music/Sound Recording. April enjoys doing educational outreach such as writing for industry blogs, giving lectures and presentations. April can be contacted through her website, www.proaudiogirl.com.